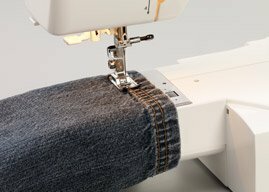 For sewing in hard to reach areas like sleeves and pant legs. With 15 stitches, you won’t have to sacrifice variety for portability. 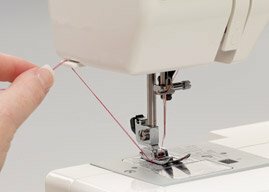 Cut thread in one simple step with the convenient thread cutter. 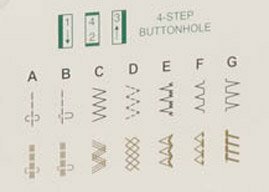 The buttonhole foot will help you make perfect buttonholes every time. 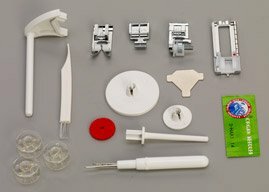 Anna comes with the essential accessories, including 4 snap-on feet.